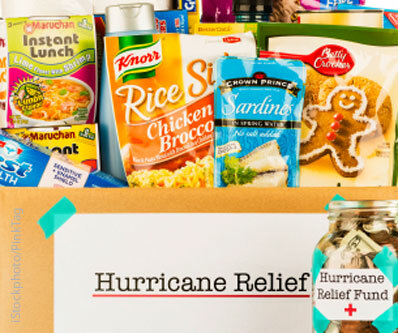 If you’re compelled to donate to the Hurricane Sandy recovery and rebuilding efforts, there are several legitimate organizations ready to harness your donated dollars, products and time. With so many nonprofit organizations to choose from, you may want to verify where the money or products are going and that the organization is on the up-and-up. You can assess the credibility and legitimacy of a prospective nonprofit on sites like Charity Navigator or Guidestar. For people nationwide, the easiest place to donate may be through the Red Cross, or by calling 800-Red-Cross, or texting ‘REDCROSS” to 90999 to make a quick $10 donation. Apple has provided a link for Red Cross donations (in increments from $5 to $200) to help those affected by Hurricane Sandy on the iTunes homepage. The Red Cross also has partnerships with airlines like Delta, United and US Airways for people with frequent flier accounts to donate miles for workers or volunteers to get where they’re needed. Three organizations are providing food, clean water, medicine and other emergency supplies to those in the disaster zone right now that include: AmeriCares, Feeding America and The Salvation Army with dozens of mobile feeding units and shelters along the coast to serve thousands of the nearly 40,000 misplaced by Hurricane Sandy. Team Rubicon unites the skills of military veterans with medical professionals to clean up and assist in crisis areas. They’ve dispatched crews to New Jersey and New York in what they’re calling “Operation Greased Lightning” and you can donate to fund the continuance of their efforts. Samaritan’s Purse is a disaster relief volunteer network with teams on the ground throughout the affected area to clean up debris and clean out sand and mud. You can put together a volunteer crew to join them in their efforts or make a contribution. To donate money or your time to help you can check out their Hurricane Sandy Response page. Two organizations looking out for kids throughout this ordeal are Save the Children which is encouraging you to text HURRICANE to 20222 to donate $10 to Hurricane Sandy Relief and World Vision is offering the opportunity to sponsor a child through the recovery process. Both organizations are working with families and children to identify specific local needs, and World Vision is working to distribute flood clean-up kits and personal hygiene items to impacted towns now. Kids In Distressed Situations (K.I.D.S) provides new clothing, shoes, toys, books, and baby products to children in need. They have a “10 to 1 matching system” where a $10 donation will buy $100 worth of brand new items to children in need. You can visit their website or make a donation by texting GIVE 8000 to 80088 to donate $10 to K.I.D.S. on your mobile phone. The Mayor’s Fund is a not-for-profit organization that supports NYC’s five boroughs. The Mayor’s Fund is accepting financial donations from organizations and individuals to support hurricane relief efforts and 100% of donations are being dispersed to relief efforts and organizations. To donate over the phone call 311 (212-NEW-YORK outside New York City) or text NYCFUND to 50555 to give $10 to help provide essential aid and supplies to New Yorkers in need. Island Harvest is food bank on Long Island is looking for donations to assist families in response to Hurricane Sandy. They’re looking most for water, vitamin water, healthy snack bars, peanut butter, crackers, and pop-top food cans such as tuna and chili. If you would like to donate food or funds, please call the Emergency Food Collections Center at 631-873-4775 or visit their fund page. The American Humane Association has their Red Star Rescue teams on the ground and the Humane Society of the United States has teams in the area. Both are working to save animals and help families throughout the impacted region. Lions Clubs International, founded by Melvyn Jones in 1917, is the worlds oldest and largest service organization, with 1.4 million members in 207 countries or geographic regions. The role members have played in disaster relief everywhere is beyond peer, and relief finance from Lions disaster relief funds is released immediately to Lions Clubs working at the coal face. No administration costs are removed from public money raised by Lions used for this purpose.